No shelves included with this unit. Scratches the door, sides, and interior of the unit. Scratches the door, and interior of the unit. 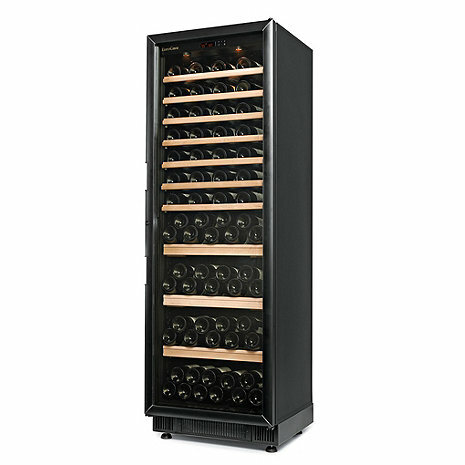 These wine refrigerators have been inspected and tested to ensure they operate properly and include the full manufacturer's warranty. Returns are not permitted for cosmetic damages. Outlets do not come with Manuals, however your unit's manual can be found Here. *Capacity is based off using standard Bordeaux size bottles, using larger size bottles may limit the capacity. If you would like to store larger bottles you can easily adjust the height of any of the shelves. Additional shelves will lower bottle capacity.